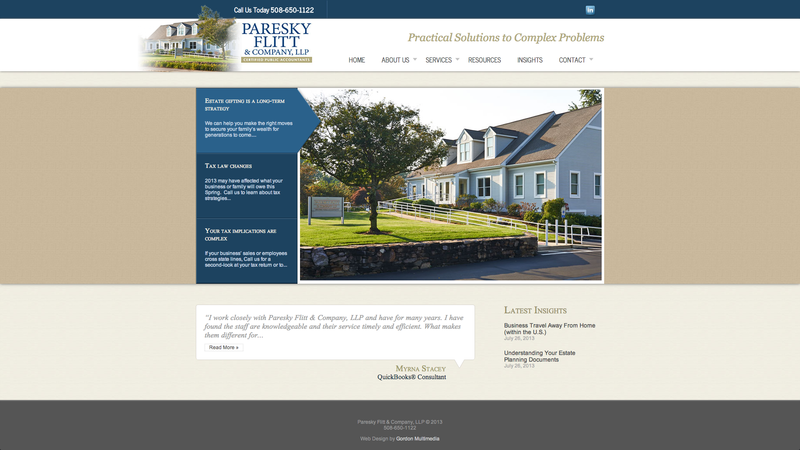 Paresky Flitt & Company, LLP. 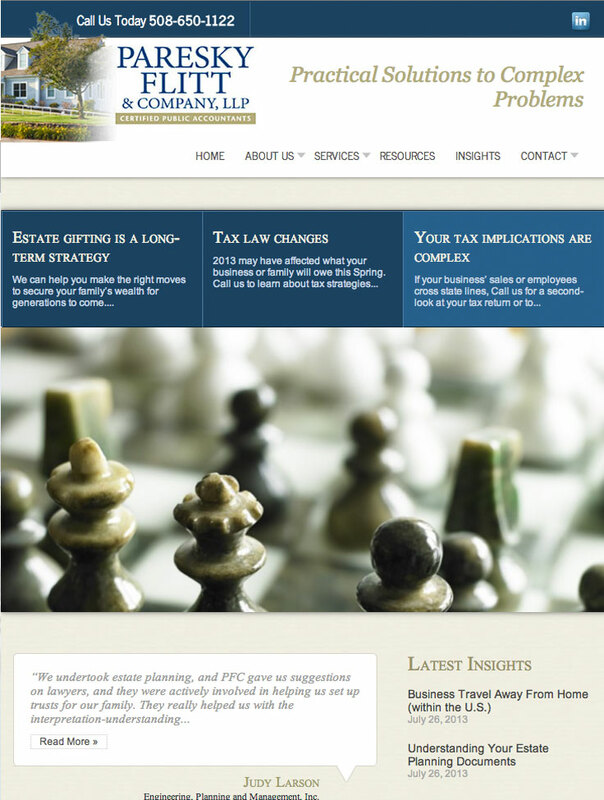 Paresky Flitt & Company, LLP. is a wonderful example of a professional and formal design that also very visually appealing. This site incorporates a lot of imagery that you don’t always associate with accountants, and it gives the site a personal and custom touch. This site is also designed with search engine optimization in mind, incorporating detailed services pages and optimized titles for search engine visibility. Finally, the site includes a responsive design that allows the company to focus on one website while having the benefits of two: a mobile and a desktop version. 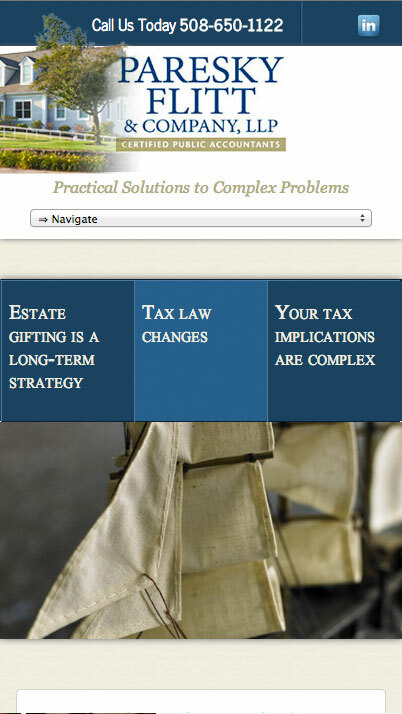 Visit this Wayland CPA Firm website.